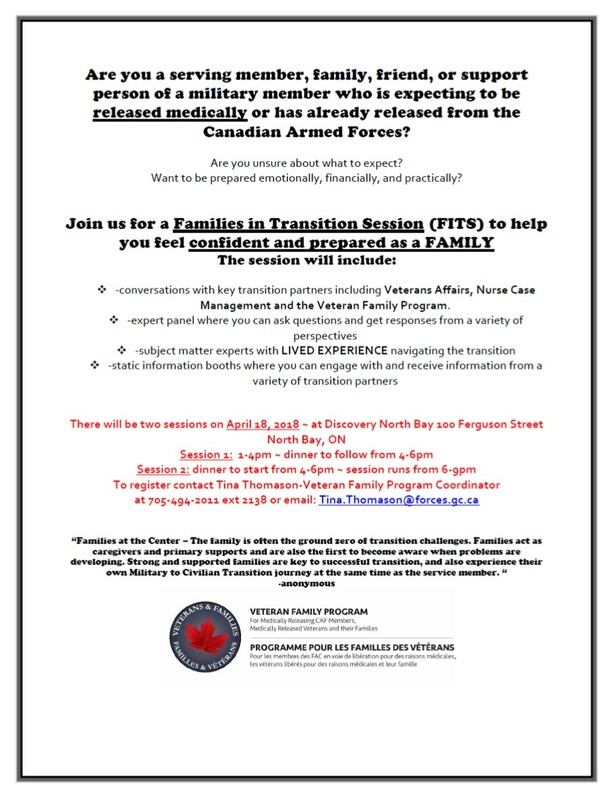 Are you a family member, friend or support person of a CAF member who is expecting to be released medically or has already released? Are you unsure about what to expect? Want to be prepared emotionally, financially, and practically? 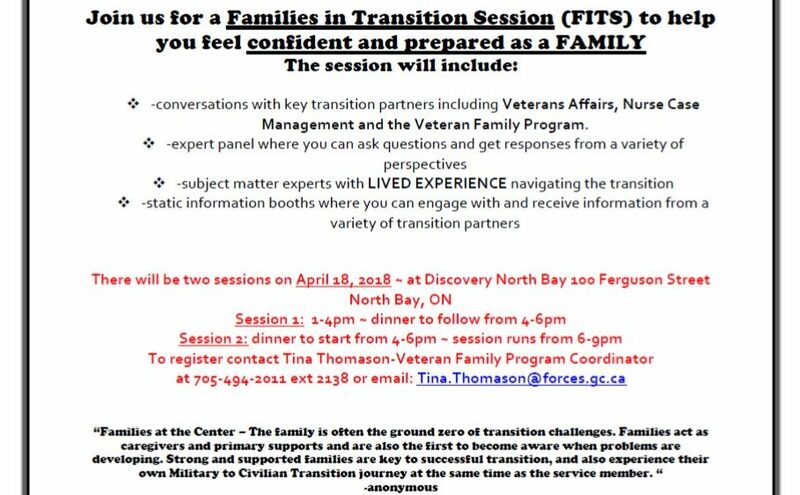 Join us for a Families in Transition Session to help you feel confident and prepared as a FAMILY during the release from military to civilian life! -conversations with key transition partners including Veterans Affairs, Nurse Case Management and the Veteran Family Program.